High definition 1080p conference camera with 10X optical zoom certified SONY lens, & plug and play USB 3.0 video output. Note: Stock and availability are subject to change. Orders may be cancelled if the product is no longer available. 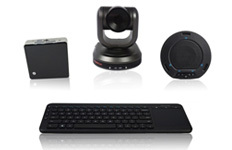 The HuddleCamHD 10X-G3 is the ideal mid level conference camera with a plug and play USB 3.0 output. It features 10x optical zoom and a 61° field of view, making this the perfect addition for medium sized conference rooms. 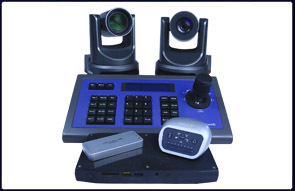 Easily control the camera through RS-232, RS-485, or the included IR remote. The camera can be tripod, wall mounted, or ceiling mounted with a standard 1/4 20 mounting screw, and even vertically flipped for ceiling installs.